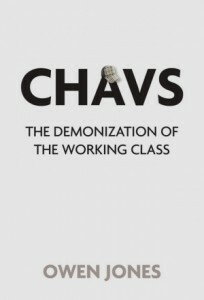 In the second and final instalment of his interview with Ceasefire, 'Chavs' author Owen Jones talks to Andrew Fleming about ‘Lib-Labbers’, the US working class, and the future. 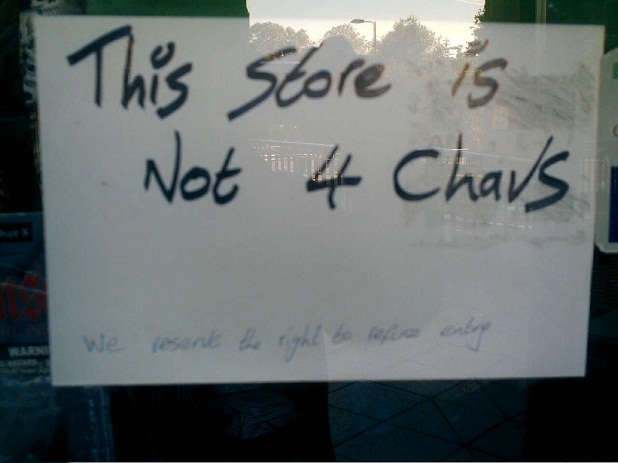 In the second and final instalment of his interview with Ceasefire, ‘Chavs’ author Owen Jones talks to Andrew Fleming about ‘Lib-Labbers’, the US working class, and the future. For part one of the interview click here. CF: How do you think Ed Milliband’s leadership of the Labour Party plays into this? OJ: Well, the way I see it, the way things stand in the Labour Party at the moment is that the Brownites remain very powerful; the only reason Ed Milliband won is because of the support of ordinary union members who felt that he represented a break from New Labour, but the truth is there’s no coherent left grouping within the Labour Party. There’s no left-wing countervailing pressure to apply to the dominant party, who are still dictating policy to a larger group, and in the absence of that countervailing pressure…there’s no point attacking Ed Milliband in that sense, because people say he lacks vision and so on – particularly Blairites, because they don’t think he’s up to Tony Blair’s standards – but he has no base to have any alternative political strategy, because the left doesn’t exist in a coherent way. OJ: That’s true, they did. That’s the only reason he won, but he won by about 27,000 votes, so when people attack…I mean, the unions are the most representative section of the electoral college in the Labour Party. These were nurses, they were teaching assistants, they were engineers and factory workers. They’re the people who voted in that section, unlike a lot of the people in the party who weren’t necessarily very representative of the community that they live in – and obviously MPs aren’t at all. For me, the central problem in British politics today is working-class representation – over two-thirds of MPs in Parliament are from professional, middle-class backgrounds, and only one in twenty is from any working class background whatsoever. That’s because of the decline of the union movement, and local government, where working-class people used to be able to rise back in the past; I think with the Labour Party, the reason I think it’s still a potential voice for working class people is that union link, that unions can and do exercise political power in the Labour Party – they’re institutionally linked, they have a big role in selecting MPs; they don’t use that power particularly, but that is the potential, at least, for working-class representation. But working-class people still don’t have a proper voice in Parliament, which is what the Labour Party was set up to do. CF: One thing that’s missing in your book, for fairly obvious reasons, is the Liberal Democrats. Because they’re not part of this story you tell about Thatcherite deindustrialisation, followed by New Labour’s policies – but what kind of role do you think they now have in this? OJ: Well, I’ve always been opposed to what they call ‘Lib-Labbers’: there was always a section of New Labour, in particular, which regretted Labour’s break from the Liberals at the beginning of the twentieth century. Labour was set up by trade unionists on the basis that the Liberals and the Tories didn’t represent working-class people. You did have, originally, union-backed MPs who were Liberal MPs, they were called ‘Lib-Labbers’, and there was a break from that with the formation of the Labour Party, a break from Liberalism, basically. CF: Cornwall is the poorest county in the country, I think. OJ: It’s the only one eligible for EU poverty-related funding for poor areas. And yes, one of the tragedies of the labour movement is that it doesn’t have any strong base in the South-West of Britain even though it’s one of the poorest parts of the country – the Labour Party doesn’t have any kind of hold there, the Liberals have done for quite a long time. But the whole point of this book was to start a debate, the book wasn’t a be-all and end-all of anything; one interesting debate which could be had is about working-class people in the countryside, often in very Tory-dominated shire counties, where they’re almost invisible. CF: Well, I don’t know – I’m really reaching back to what I know about the period, but I think American workers following the Great Depression were pretty well-unionised? OJ: Oh yeah, in the 1930s, they call it the Red Decade. There were more strikes in America than there were in Britain, per capita, if you like. The level of strike action was pretty high. After the Second World War and McCarthyism, one of the knock-on effects was a purge of all left-wing, radical trade unions. The Communist Party had played a leading role in that and any sympathisers with them suffered. The labour movement peaked in the fifties in America and then started to stagnate and decline in the early sixties onwards. CF: But at the same time, this airbrushing of working-class, blue-collar culture hasn’t really taken place to quite the same extent. OJ: In America, you have this idea that arose in the 1960s of this ‘Middle America,’ which blue-collar workers in particular can identify with. They felt they were squeezed between affluent America and the urban poor; that the tax burden fell most heavily on them, while taxes were cut on corporations and big business, and they felt they were being made to pay for social programmes for minority groups which they didn’t benefit from. So they ended up feeling they were in conflict with the urban poor. And today, it’s very widespread for these people in America to call themselves middle-class, this idea that everyone’s middle-class in America, and working-class identities have taken a real pummeling on that basis – the idea that there’s the urban poor, then there’s us, then there’s the rich above us, but that we’re middle-class. And there is that idea in America that you’ve got to pull yourselves up by your bootstraps, you make it by your own effort, and if you’re poor you have a large role in that, because you’re feckless and so on. And I think that’s been true for a long time, those ideas that were less prevalent here are now increasingly common. So I think the qualification for blue-collar workers in America is that they see themselves as middle-class, rather than working class. CF: We’ve discussed the outlook for the UK, but do you see any hope for the American labour movement strengthening again? OJ: Yes, they were aiming to extinguish the unions as a force in American society. And I think everyone was surprised, the unions themselves were surprised by the level of mobilisation. I was in America at the time, in Michigan, and there was this big rally by the AFL-CIO – which is the American equivalent of the TUC – on the anniversary of Martin Luther King’s assassination; there was a huge mobilisation of people all over America, and yes, you did have this idea of union members reaching out to the wider community, getting broad public support for their cause, and that was very inspiring, I think, and something that unions here might aspire to. Andrew Fleming is a research student at St. Edmund Hall, Oxford, where he is writing a doctorate about the church in medieval England.